The Bekhic V90 action camera can record in 4K, But I recommend using it as a 1080P camera. Cameras in this price range offer much better video quality at 1080P and 720P then 4K. The video quality of Bekhic V90 is very good, the videos are sharp and clear. I do want to mention that there are similar cameras that offer a little bit better video quality. One of them is AKASO EK7000 (Amazon link). This sports camera is super popular – it offers great video quality and it’s reasonably priced. If you want to record 4K videos – I also highly recommend checking out the YI Lite (Amazon link) action camera. Xiaomi (Yi) decided to release a new camera that will beat all the other models in the market. The video quality it offers is really good, and on top of that – it has a touch screen ! In my opinion – the YI Lite model will become super popular very soon. The Bekhic V90 4k sports camera has built-in WIFI. You can pair it with your smartphones in less than a minute. It’s very easy – download the iSmart DV app (it’s free) to your smartphone and tablet, and follow the instructions. The app itself is very easy to use. Many sport camera companies prefer to use generic apps like iSmart DV instead of developing their own. Because of that, they can offer you lower prices. The Wifi range is good – up to 10 meters. I persoanlly don’t use the WIFI functions that my action cameras offer, but I know that for many people – it’s a must have feature. The WIFI connection is also stable and the functions associated with it work really well. 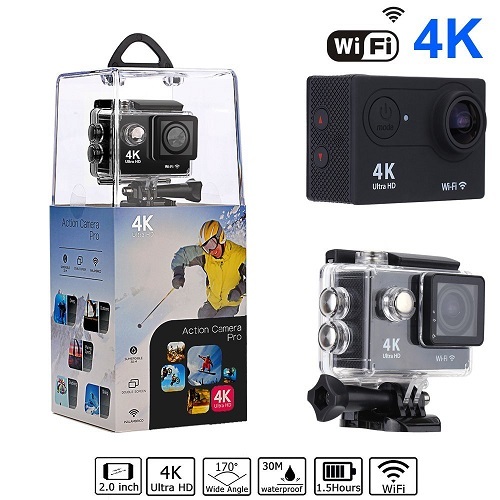 The Bekhic V90 4K HD action camera supports MicroSD memory cards up to 32GB – it’s not included in the package so you have to buy one yourself. Any class 10 32GB MicroSD memory card will work. Don’t buy a fancy and super fast card – because there will be no difference. There are some action cameras that also support bigger (64GB) memory cards like DOMEZAN (Amazon link), so if that’s something important – consider buying one of them instead. I think that for most people – 32GB is enough. Bekhic V90 comes with different accessories and mounts. 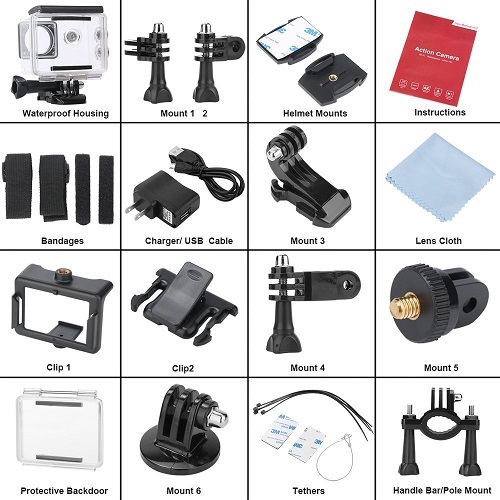 Not all action cameras in this price range come with so many mounts. If you had to buy them separately – you would spend a lot of money. The included waterproof case is also very useful – after you install it you will be able to record really amazing videos underwater as well. 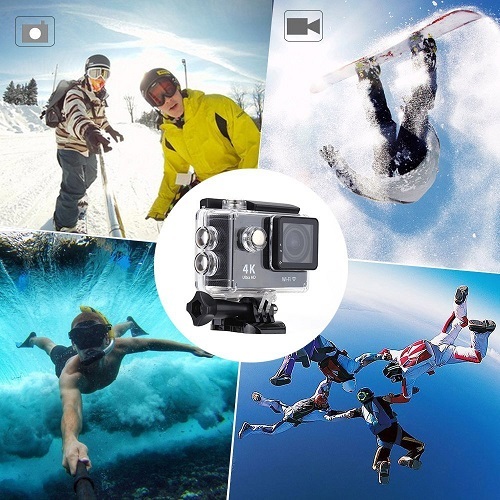 If you are looking to buy a fairly inexpensive action camera with great video quality, wifi and good build quality – consider buying the Bekhic V90 model. It works well and provides great value for your money. I hope you found this Bekhic V90 review useful. If you have any questions – feel free to comment below. Make sure to also check out our Yi Lite review.